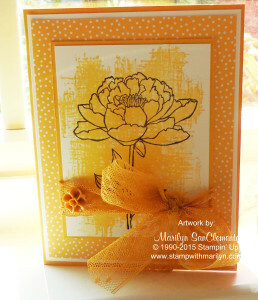 Today I am sha ring a card using the new sneak peak Stampin’ Up! 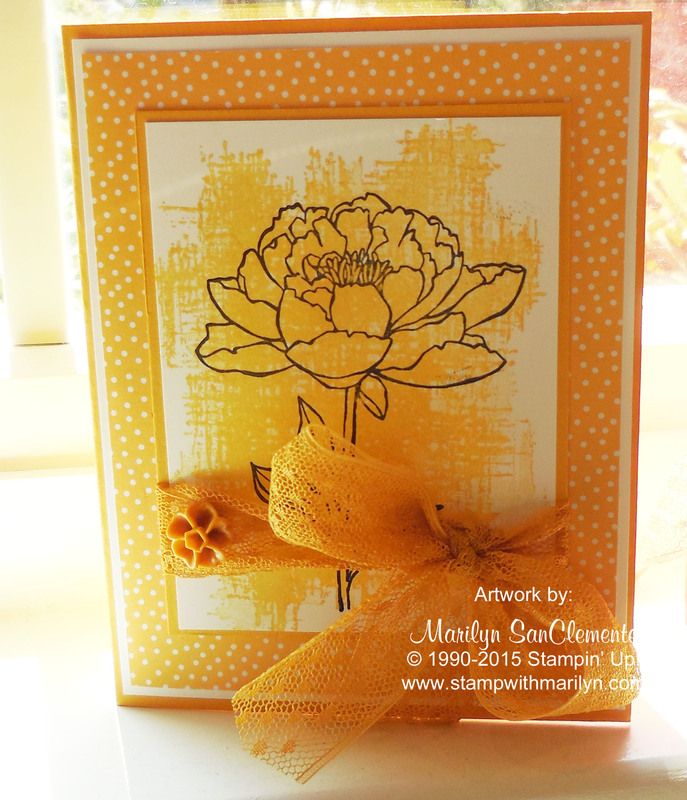 stamp set You’ve got This with the beautiful floral image from the upcoming 2015 – 2016 Idea Book and Catalog. I love flowers as you can probably tell by looking at my website and past posts… This flower really grabbed my attention and I knew that I had to have it!! One of the things that I really liked about this stamp set is the background image that is included. You can use the background image to quickly make a card or you can take your time and color in the flower. I did one of each! Both cards use the Cherry on Top Designer paper. The yellow card is monochromatic and made with Daffodil Delight which coordinates with the paper. The second card uses the new Watermelon Wonder color scheme. 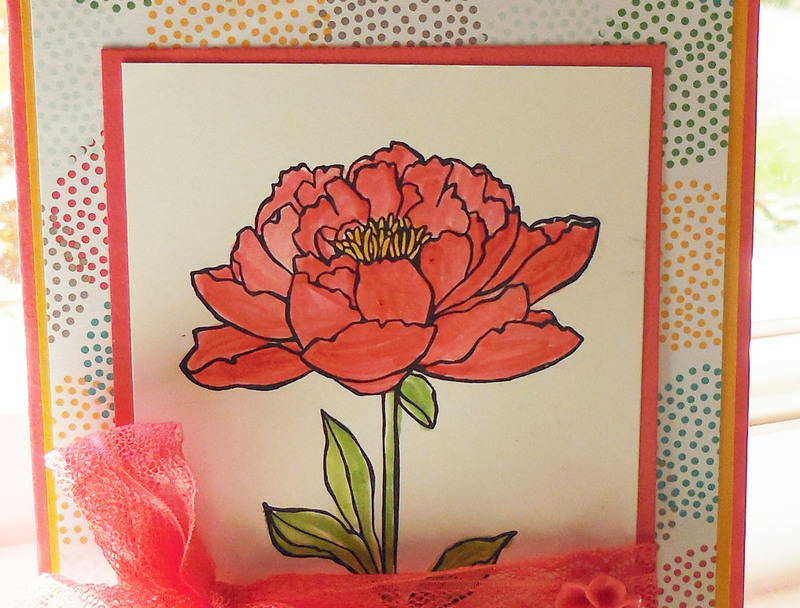 I colored the flower using a blender pen with the new Watermelon Wonder ink pad. 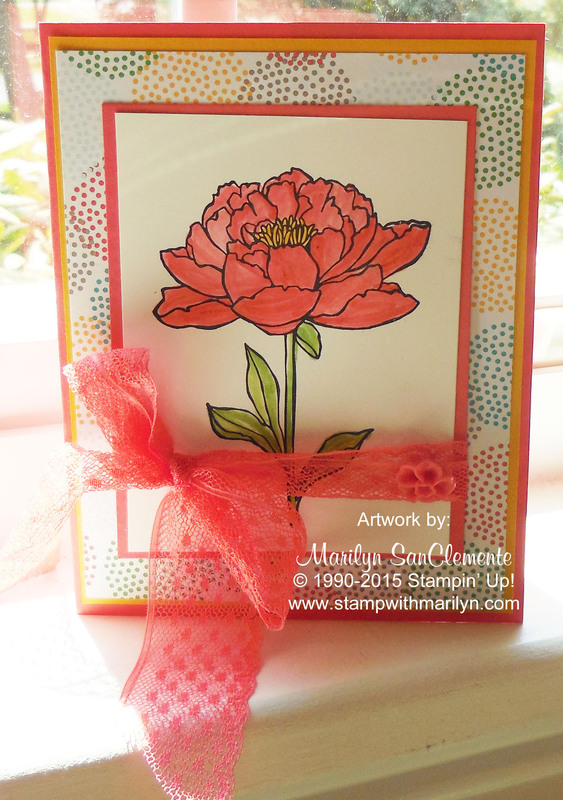 Both cards have the new ribbon and flower elements that coordinate with the new in-colors. 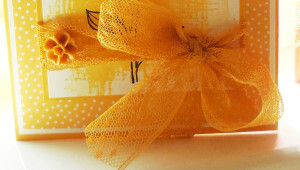 This new lacey ribbon is beautiful! I can’t wait to do some more playing with my new sets! !